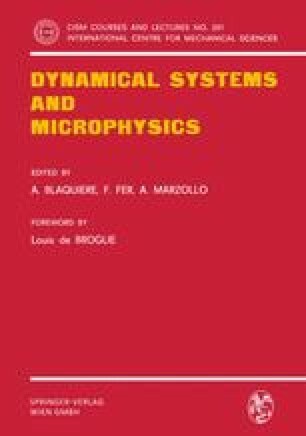 This chapter contains a discussion of conditions that must be satisfied in order that a dynamical system be “controlled” in an “optimal” fashion. In particular, the treatment is restricted to systems governed by ordinary differential equations involving functions that are to be chosen so as to control the system’s response in a desired fashion. In the case of a single controller, the desired goal is attainment of the minimum of a prescribed functional; in the case of two controllers, the desired goal is attainment of a saddlepoint of a prescribed functional. In either case, the choice of the optimal control value at a given instant is based on the system’s current state; that is, we deal with necessary conditions for optimal state-feedback control. Based in part on research supported by the National Science Foundation under Grant ENG 78-13981.